Society is a not for profit entity comprising of a group of people engaged in promoting welfare and charitable activities like religion, culture, art, education, gender sensitivity, music, sports etc. 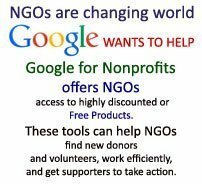 They have a stated charitable or benevolent purpose which operates as nearly as possible at cost. In India Societies Registration Act, 1860 governs the societies, laws applicable to them and name change procedures. The same act has been adopted by different State Governments through various amendments as per their needs. In this article, we look at the need and procedure for registering a Society. Step1. Summon a general body meeting of the board members to discuss the change of the name. However, name should not refer to any caste or religious denomination and should not be inconsistent with the objects of the society. 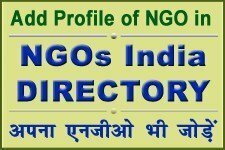 The registrar may refuse to make a change in the name of society if the new name anyhow suggests or misleads the public into believing patronage from Government of India, or connection with any department/ organisation/ body constituted by the Government or any other similar authority. It should not be identical to the name of some other society in the jurisdiction of the concerned Registrar of Society. Step2. A resolution declaring the new name should be passed in the General Body meeting of Society by majority. This change of name should not affect any obligations or rights of the society/ its members/ past members/ deceased members; and any legal proceedings pending before any person, authority or court may be continued by or against the society, under its new name. Every change in the name of a Society should be made by an amendment of its bye-laws. This has to be notified in the official gazette. There should me one more General Body meeting of Board of Society to pass resolution for approval for the previous resolution of change the name of Society. Step3. A notice is to be issued about the change in name wherein the new name is declared. It has to be signed by the secretary of the society along with its seven members (as in case of the registration of the memorandum of association). This is then submitted to the registrar. After getting approval from the Registrar, the Society has to send the original registration certificate to the registrar so that he can make an amendment in that and then it shall be returned to the society. The registrar will enter the new name in place of the older name in the register of societies and shall also amend the certificate of registration accordingly. The change in name of the society is in effect from the date of the registration. The process can be some different in different areas and different registrars. So before changing the name you must contact to the concerned registrar or any expert consultant to know the exact required and applicable process of name change of Society.